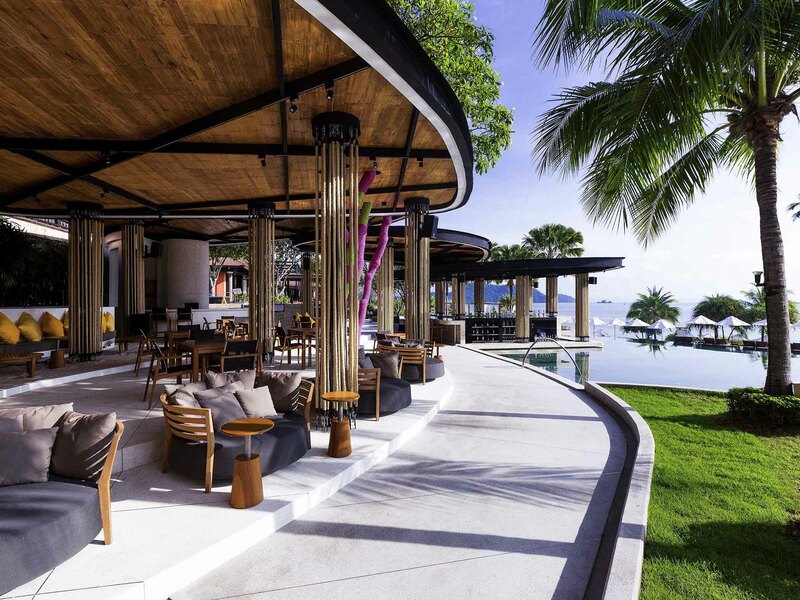 This fabulous resort with gorgeous views of the sea offers 2 lavish swimming pools to dive in and a restaurant called Tamarind serving authentic Thai cuisines. The rooms are luxurious and the staff is extremely helpful. The transportation to the airport by the hotel car is an added bonus. 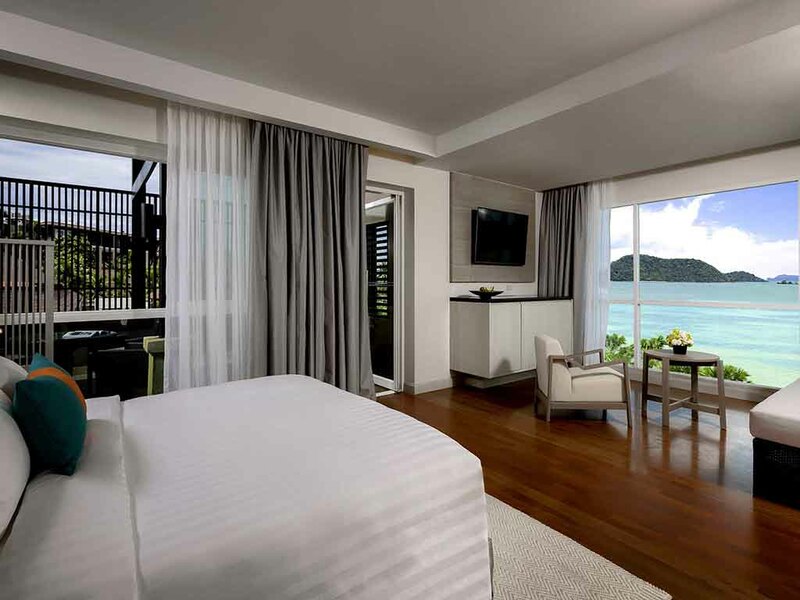 Pullman Phuket Panwa Beach Resort is an impressive 5-star property in Phuket that never fails to charm its guests. 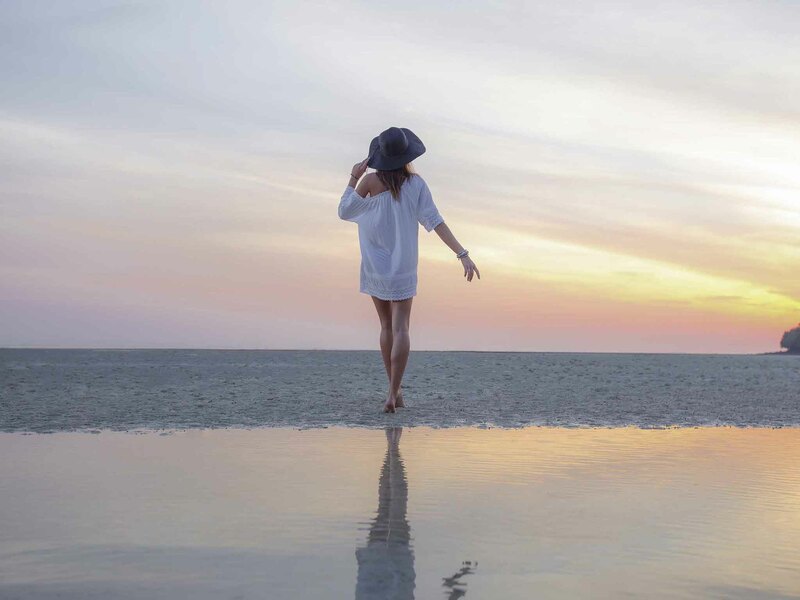 With direct access to the beach, the resort offers a relaxing stay for couples/honeymooners or business and leisure travelers looking for a wonderful holiday. It features a beautiful outdoor pool, sauna, and spa for its guests to relax their senses and get a dose of entertainment. The beach resort also boasts of its attractive design and modern-day amenities. Further, its warm hospitality and host of facilities helps offer memories for a lifetime. Guests get access to the private beach area when staying at the resort where they can opt for boat excursions. 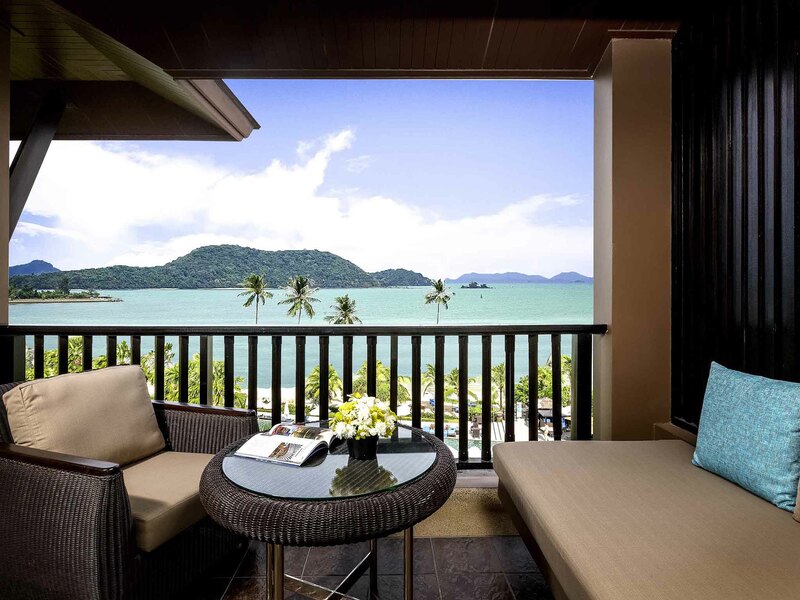 The resort is peacefully tucked away from the hustle and bustle of the city but is also close to several tourist attractions like Phuket Aquarium, Khaokhad View Tower and Phuket Zoo. This strategic location of the resort makes it an excellent choice for Phuket vacations. The resort has a total of 211 comfortable and elegantly designed rooms. All of them have chic and contemporary Thai furniture. They have complimentary wi-fi connectivity, safe deposit box, tea and coffee making facilities, work desks, mini-bar, and iron. Guests can use room service to order food 24 hours a day. The bathrooms have showers, bathtub, hairdryer, and bathrobe. The rooms have been fitted with safety measures like sprinklers, alarms, deadbolts, and keycard operated doors. The Pool Villa has a separate lounge area, the bathroom has a rain shower and a large terrace. 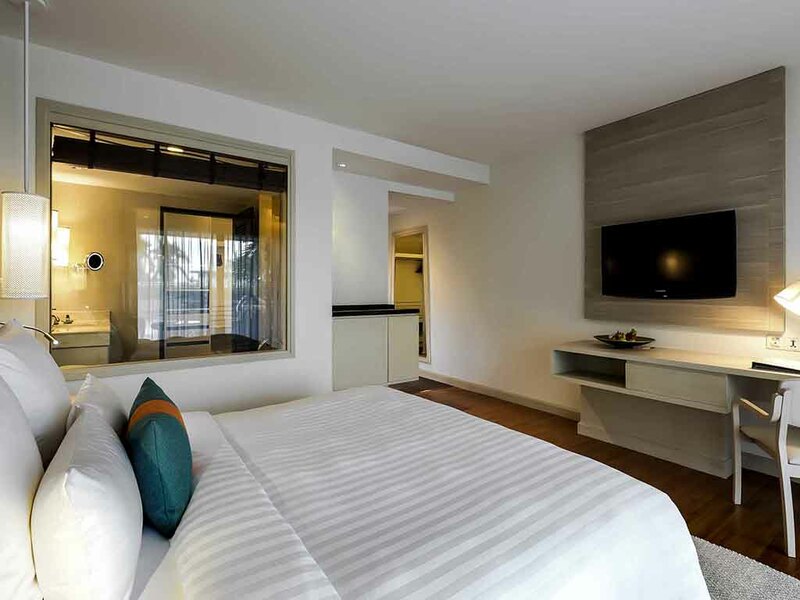 Pullman Phuket Panwa Beach Resort proudly boasts of a pool, spa and sauna room. It also features restaurants and bars on-site making it easier for guests to arrange their meals. Besides, the resort maintains a free parking area, 24-hour front desk, tour desk, concierge service, and foreign exchange counters. All the rooms are equipped with modern amenities and complimentary Wi-Fi. It also offers an airport shuttle, dry cleaning, laundry, and ironing services at an additional charge. Further, guests can make use of the other facilities which include area shuttle service, lockers, ticket assistance, and outdoor furniture. They can rent bicycles and roam around the city. The resort maintains a dedicated childrens club where kids can have the time of their lives. Pullman Phuket Panwa Beach Resort features exceptional restaurants and bars offering delightful culinary experiences throughout the day and the ideal settings for the night. The resort maintains two restaurants namely Aqua Restaurant And Terrace and Tamarind. 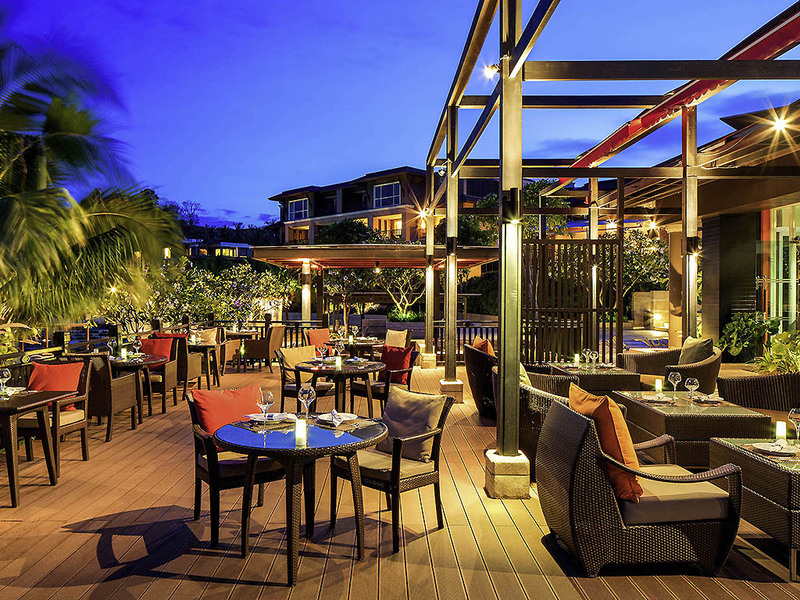 Aqua Restaurant serves Asian, Thai and international cuisines in an open-air setting. For Thai seafood, guests can go to Tamarind which also serves wine. It has both indoor and outdoor seating options. The Junction is an Octo bar and Lounge with views of the beach. It serves light snacks and drinks. Edge Pool & Bar is a pool bar serving tropical cocktails and fresh meals. With its ideal location next to the beach and a host of amenities, Pullman Phuket Panwa Beach Resort is a great spot for a vacation. It can cater to all kinds of travelers. The various restaurants and bars are a major selling point for the resort, along with its friendly staff and panoramic views. 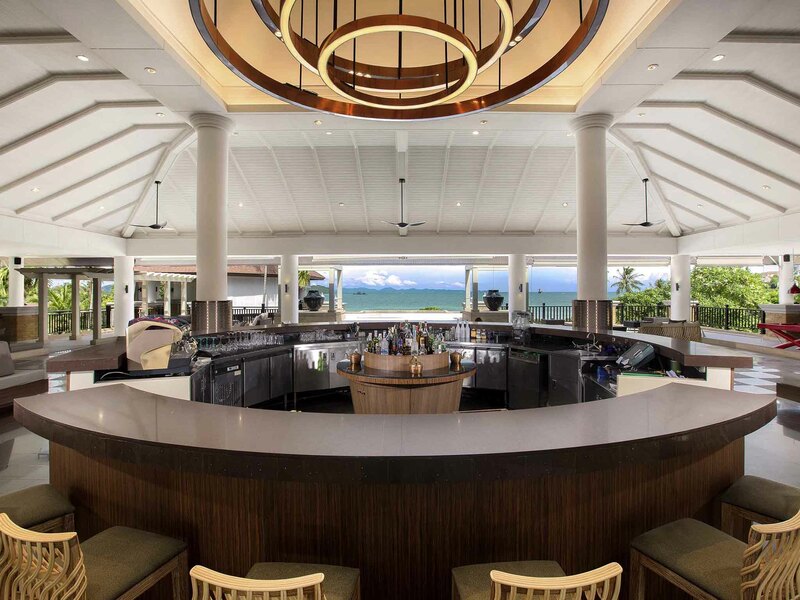 Which is the nearest airport to the Pullman Phuket Panwa Beach Resort? 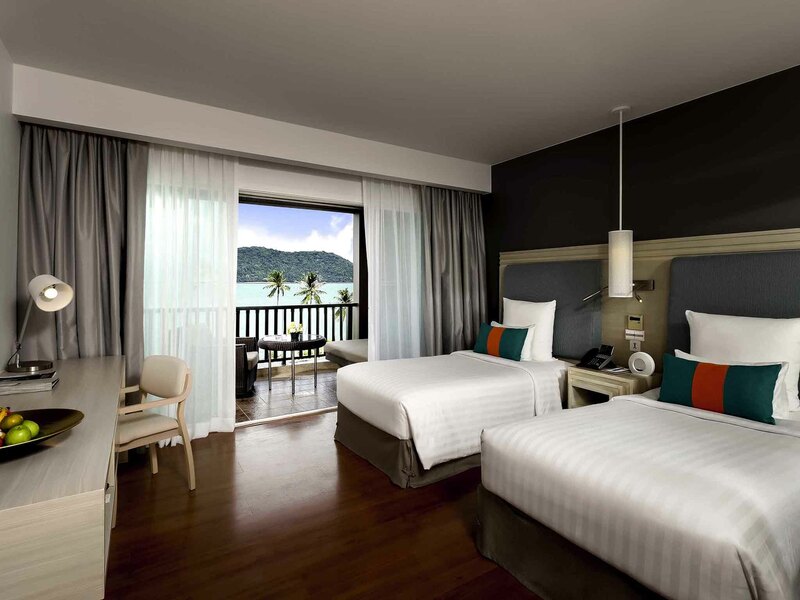 Pullman Phuket Panwa Beach Resort is about 42 km from Phuket International Airport. Yes, the resort provides airport shuttle services to its guests at an additional charge. There is a lot to do in the resort. Guests can make use of the various recreational facilities like the swimming pool, spa, and sauna. They can organize meetings, conferences or private events. The restaurants and bars offer exquisite meals and beverages. 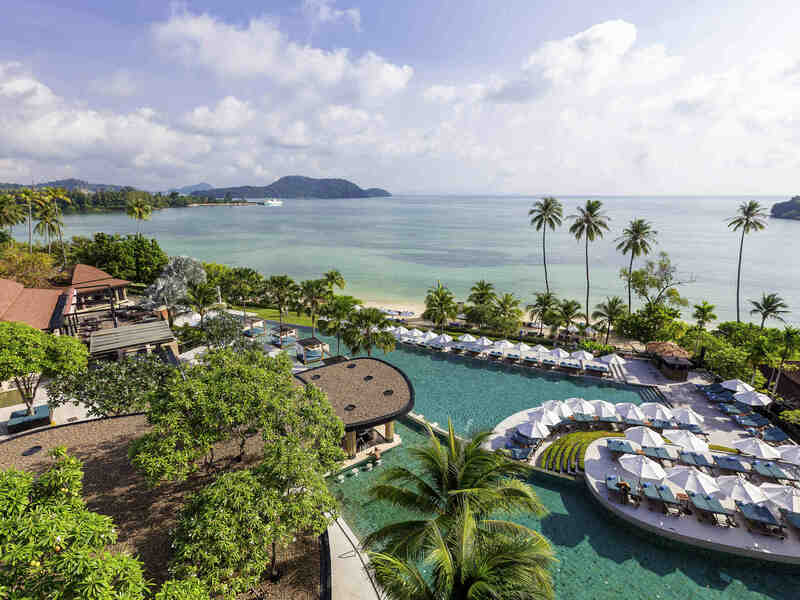 Pullman Phuket Panwa Beach Resort Thailands location keeps it close to tourist attractions like Khaokhad View Tower, Phuket Zoo and Phuket Aquarium. Yes, the Pullman Phuket Panwa Beach Resort offers laundry service. Pullman Phuket Panwa Beach Resort leaves no stone unturned when it comes to providing comfort and luxury to its guests. There is a lot to do at the resort. All kinds of guests will have something to do at the property, especially because of its location at the beach. Couples can just walk to the beach and have a romantic evening, enjoying the sunset. Families with children can have picnics and make memories forever. Business travelers can make use of the meeting rooms and organize conferences or seminars. The restaurants and bars offer a variety of cuisines making sure that the guests are completely satisfied with the service. They also provide in-room dining options which means guests dont even have to leave the comfort of their rooms. Pullman Phuket Panwa Beach Resort Thailand has welcoming staff dedicated to giving guests the best possible experience. Travelers will surely make some unforgettable memories during their stay at the resort.